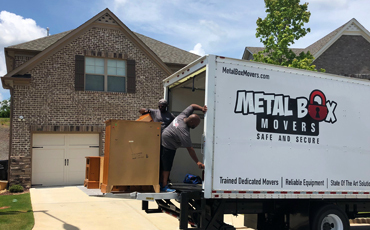 Metal Box Movers in Roswell carries a wide array of boxes, packing materials, and other moving supplies. We have a one-stop shop designed with competitively priced moving items for your convenience. Boxes: Boxes and box kits for different size homes – see our list below. Packing Supplies: Mover’s plastic stretch wraps, wrapping paper, tapes, etc. See our list. 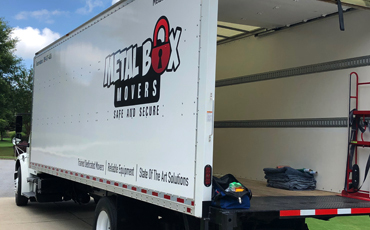 Moving Supplies: Locks, covers and bags, rope, and tie-downs. Delivery: We deliver up to a 25-mile radius and ship to addresses outside our delivery zone. Our box guide will assist you in determining the amount of boxes needed for your home and family. Be certain to call and inquire about our boxes, moving supplies, and other services. Moving Box Guide: Use this guide to determine your box needs. Box Calculator: “We pack from a pin to an anchor.” No matter the size or scope of items to pack, we have the answer. Type of Boxes: Our boxes come in different shapes and sizes to ensure a safe and efficient transition. 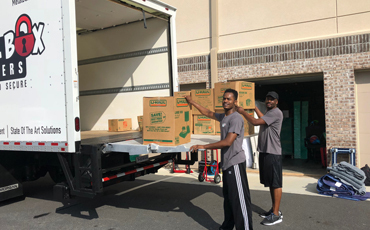 One of our moving specialists will walk you through the different applications and work with you to achieve your goals. Small (16x12x12”) holds 1.5 cu. ft. (US) used for books, records, candles, tools, canned goods, kitchen canisters, and hand or power tools. Medium (18x18x16”) holds 3.0 cu. ft. (US) – General Purpose Size. Good for bulky items such as toys, lampshades, pots and pans, kitchen utensils, etc. Large (24x18x24”) holds 6.0 cu. ft. (US) Large (18xx18x24”) holds 4.5 cu. ft. (US). For lampshades, clothing, decorations, pillows, blankets, Make sure to not overload these sizes. Wardrobe Box (24x20x46”) equipped with a bar for hanging clothes, curtains, and draperies. The bottom is not designed to support weight. Do not pack other items in the bottom of these cartons. Lay-down style wardrobe boxes are also available. Dish Boxes (Dish Pack – Glass Pack). A special design with cell dividers for transporting dishes, glasses, bowls, and other kitchenware. Mirror Boxes provide extra protection for mirrors, large pictures, and glass tabletops. Mattress Boxes available in crib, twin, standard, double, and queen/king sizes.